Euripides G.M. Petrakis (http://www.intelligence.tuc.gr/~petrakis) received Bachelor in Physics from the National University of Athens in 1986. He received a Ph.D in Computer Science from University of Crete, Dept. of Computer Science, since 1993. Between 1996 and 1998 he was a visiting professor at the Dept. Computer Science of York University, Toronto, Canada and a researcher at GMD/IPSI Institute, Darmstadt, Germany. He was awarded with an ERCIM fellowship in 1998. He is serving as professor at the Computer Science division, of Electrical and Computer Engineering Dept. of the Technical University of Crete (TUC), and since 2006, as director of the Intelligent Systems Laboratory. 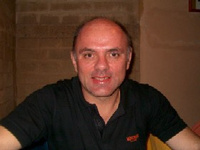 Prof. Petrakis is involved in research on computer vision and image databases (at the early stages of his career), on modern aspects of information systems (Web information systems, semantic Web) and recently, cloud computing and IoT. Prof. Petrakis has authored or co-authored over 120 papers with students he has supervised (as main or sole supervisor) in high quality journals and conferences (acceptance rate < 30%) and has over 4000 references to his published work (by Google Scholar). He is involved (as principal investigator or coordinator) in several research projects funded by the Greek Government and the EU and attracted over 2.5Meuros funding for TUC.